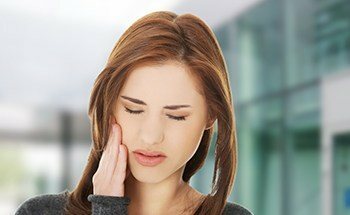 Dental emergencies, like any emergency, always occur unexpectedly and at the worst possible times, plus they usually involve quite a bit of pain! Fortunately, if you ever find yourself in need of immediate dental care, you only need to do one thing to get it: call Dream Dental. Dr. Haren Patel and our team have years of experience handling all kinds of dental emergencies, so no matter what your situation might be, you can rely on us for help. When you call in with an emergency, we’ll be ready to give you advice, offer first-aid tips, and we’ll work to see you in our office as quickly as possible. Our goal is to never have anyone wait while they are in pain! Remember, if you ever find yourself in the middle of a dental emergency, don’t panic, call Dream Dental! Even if you are unsure whether or not your situation is an emergency, just give us a call, and we’ll be happy to let you know what you should do next. However, if you have suffered a broken bone in addition to your dental injury, or if you can’t stop bleeding after 10 minutes, please head straight to your nearest emergency room first. Contact us only after you have been cleared to leave! Wear a mouthguard when playing sports, no matter your age or level of play. Don’t chew on extremely hard items like ice, rock candies, pens, pencils, etc. Don’t use your teeth as tools to open bottles, packages, or remove tags. Come to Dream Dental for regular checkups and cleanings so we can stop a small problem from becoming an emergency later!